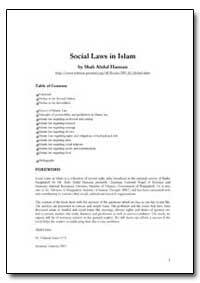 Foreword: Social Laws in Islam is a Collection of several radio talks broadcast in the external service of Radio Bangladesh by Mr. Shah Abdul Hannam, presently Chairman National Board of Revenue and Secretary. 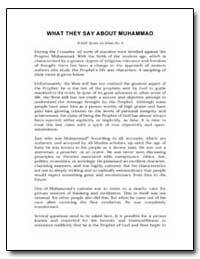 Excerpt: What Is Islam? 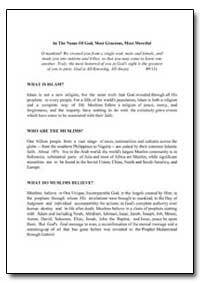 Islam is not a new religion, but the same truth that God revealed through all His prophets to every people. 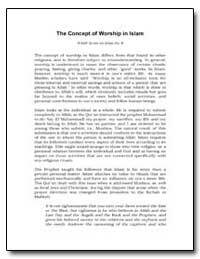 For a fifth of the world's population, Islam is both a religion and a complete way of life. 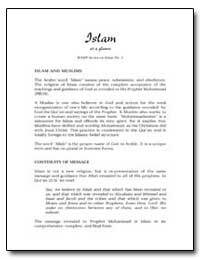 Muslims follow a religion of peace, mercy, and forgiveness, and the majority have nothing to do with the extremely grave events which have come to be associated with their faith. 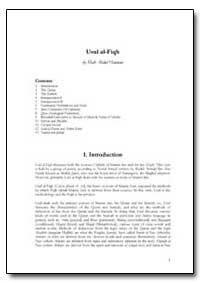 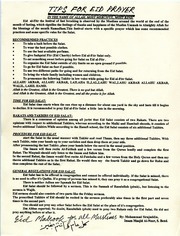 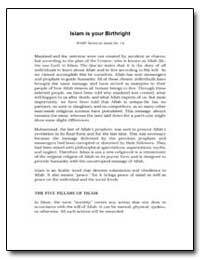 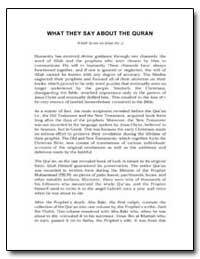 Introduction: Discusses both the sources (Adillab) of Islamic law and the law (Fiqb) . 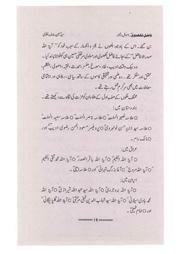 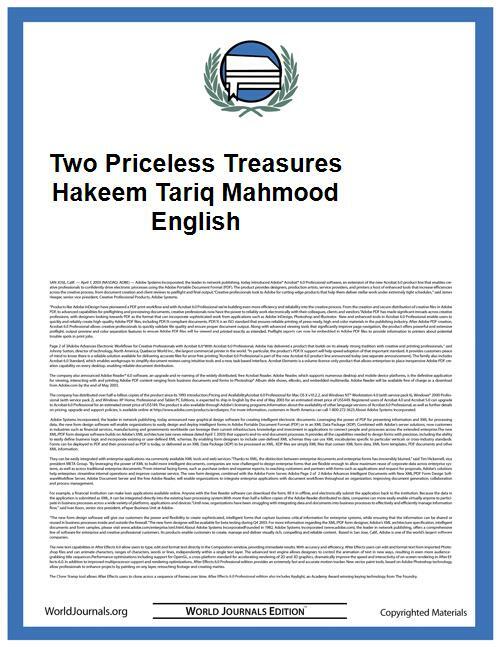 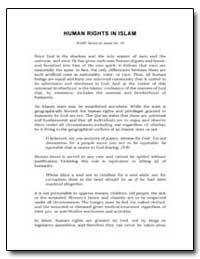 Excerpt: Islam has laid down for humanity universal fundamental rights that are to be observed and respected under all circumstances. 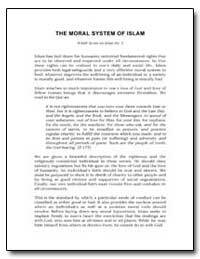 So that these rights can be realized in one's daily and social life, Islam provides both legal safeguards and a very effective moral system In beef, whatever improves the well - being of an individual or a society is morally good, and whatever harms this well - being is morally bad. 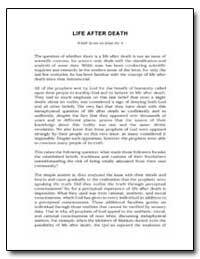 Excerpt: The question of whether there is a life after death is not an issue of scientific concern, for science only deals with the classification and analysis of sense data. 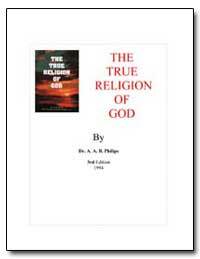 While man has been conducting scientific inquiries and research, in the modern sense of the term, for only the last few centuries, he has been familiar with the concept of life after death since time immemorial. 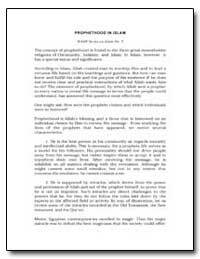 Excerpt: The concept of prophethood is found in the three great monotheistic religions of Christianity, Judaism, and Islam. 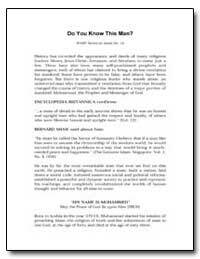 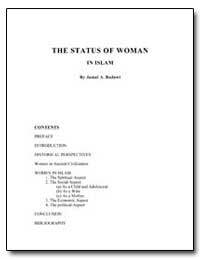 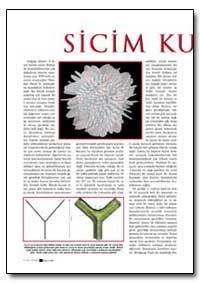 In Islam, however, it has a special status and significance.